After reviewing Angry Birds Go!, we've always felt the game left much to be desired. We're happy to see that someone at Rovio Entertainment is listening and answered our cries by adding a new multiplayer mode. In the new 1.4.0 update, fledglings must acquire the Piggy Island Driver's License before getting into multiplayer races. If you're new to the game and want to join in on the multiplayer action, we suggest you review our strategy guide. Experienced players, on the other hand, shouldn't have an issue joining right now. 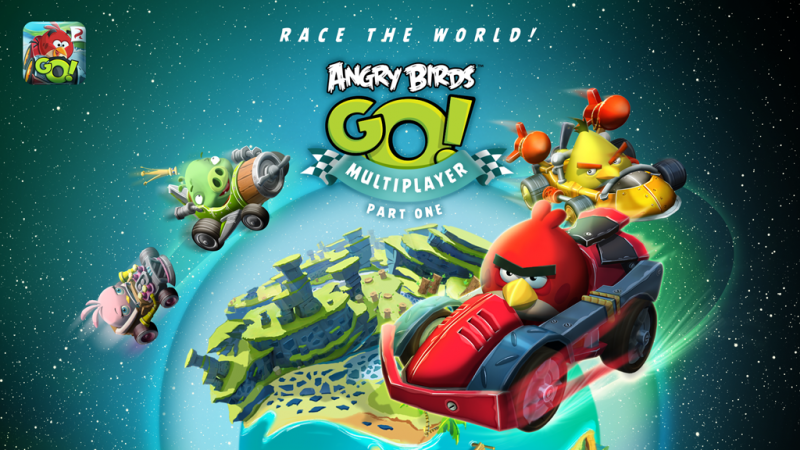 As a series of updates planned by Rovio, players can join a multiplayer quick race mode that will auto-match you with three other similarly-skilled opponents. You can even challenge your Facebook friends in an asynchronous race, so you're not actually racing other players in real time; instead, you compete for the best times. The update for Angry Birds Go is currently available for iOS and Android players. Join in the race and send us a challenge to see how you stack up against Modojo.